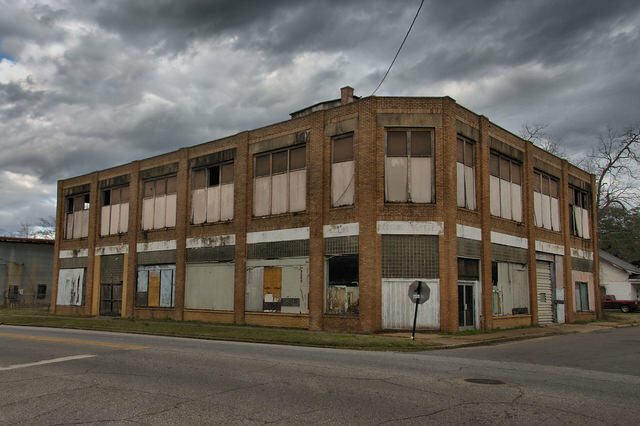 The faded signs on this building indicate that it sold furniture but D. A. Bolton writes that it was built as an early automobile dealership. He notes that the service area was on the second floor and cars were lifted by a large lift that’s still intact today. After the auto dealership closed, it was a John Deere dealership for a time. The furniture business here was short lived and apparently the last tenant. Bill & Julie McKendree write: The purple Queen Anne home is my families. We purchased it twenty years ago and we’ve lived in it on and and off since. We moved back in a month ago and have begun adventure of our lives!!! You’re very right about the porch. The original porch was gone before we bought it. We removed the porch that had been added do to two reasons. 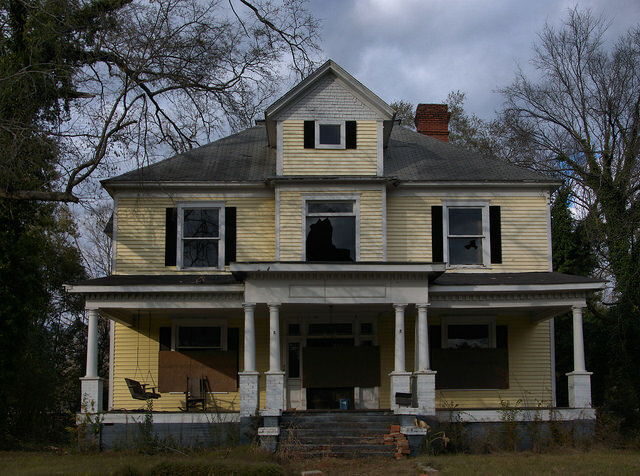 The porch did not compliment the style of our home at all and it was very poorly done in the structure of it. Dawson is a great little town, with scenes like this to appeal to any history-minded visitor or photographer. If you’re ever nearby, spend an hour or so exploring their historic downtown, or any of the other small communities in Terrell County. 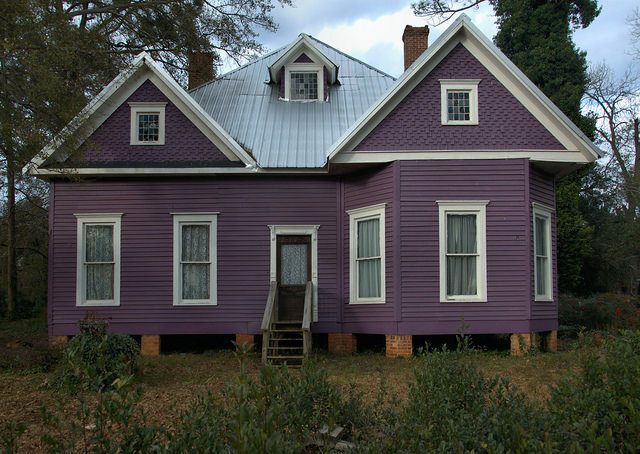 Donald Hartin writes that this Queen Anne cottage was bought by Mrs. T. D. Lee in the 1920s. 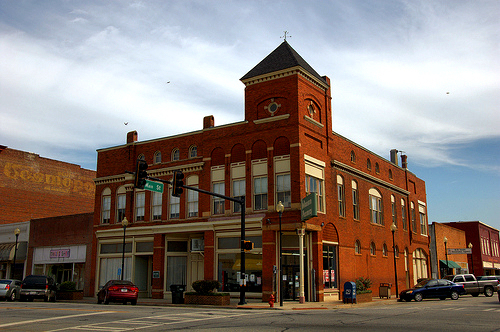 This wonderful building is best known locally as the Dawson Pharmacy building. According to Bob & Cherry Howell, it’s been owned for many years by the Scott family and before that was owned by the Horsleys. 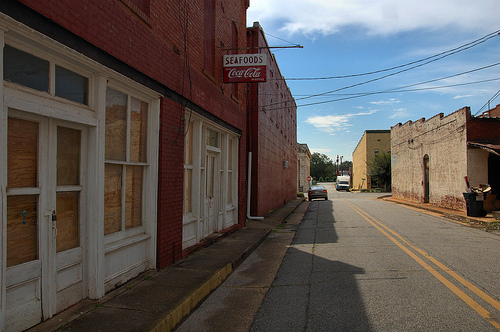 John Clark (host of GNN’s Georgia Focus and a Dawson native) relates that this was recently used as a set location in the Disney movie The Odd Life of Timothy Green. I’ll be talking with John on the upcoming Halloween edition of Georgia Focus and will keep you posted as to airtimes. 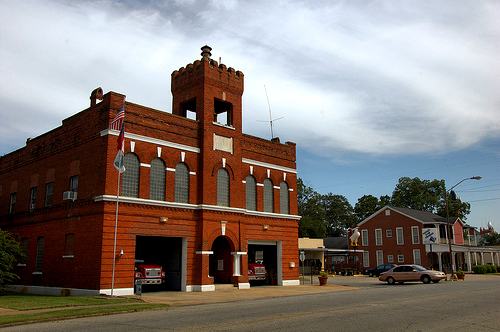 One of just a few firehouses from this era still in use in Georgia, the Dawson firehouse also features a tornado whistle. 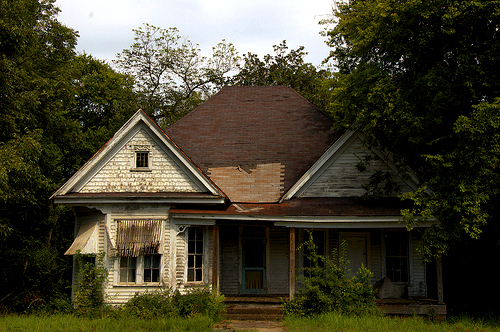 The southwest corner of the state is sometimes referred to as Georgia’s “Tornado Alley”.